Today is a big day, since we have released our 4.0 version of the Subscription and shareholders agreement (preferred shares). It all started with this document when we launched Capital Waters in 2014. Our goal was to create a simple set of investment documents for early stage equity deals that people could use as a standard to save time and money. 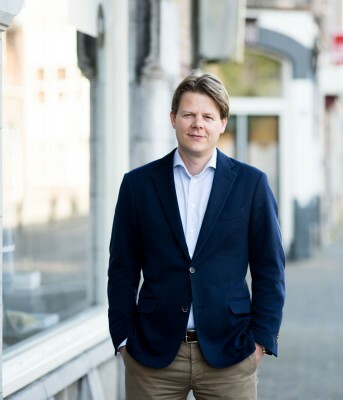 We are grateful that many people took advantage of this resource and Capital Waters became an online hotspot for early stage investments in the Netherlands. We re-wrote the warranties paragraph in such a way that no longer the founders provide warranties to the investors, but the company does (apart from the founders’ warranty regarding IP rights being vested in the company). In the event of a breach of warranty, investors will be compensated by getting a larger stake in the company instead of a claim for compensation on the existing shareholders. Although we know that not every investor will appreciates this change, in our opinion in most early stage deals this is the more pragmatic (and market standard) approach. The former version already included the option to install a Supervisory Board. We put more weight on the Supervisory Board’s role in the new version. If installed, the Supervisory Board now is the corporate body that executes the approval rights instead of the General Meeting. The investors will have the right to elect the majority of the seats in the Supervisory Board. This accommodates in a better way current practice where investors often use the Supervisory Board to advise and to enforce their consent rights. The former version included a matching right for other shareholders in case a drag along right was enforced. We kept it in, although we know that some investors don’t like it. To accommodate their legitimate concern to some extent and at the same time protect the founders’ interests, we have shortened the period to execute this right (unconditionally) to 21 days, which in most cases will prevent a potential buyer walking away from a deal. We changed the investor’s anti-dilution right from full ratchet to broad based weighted average, since that seems the most reasonable and currently market standard approach in Dutch VC deals. Finally, there are many small changes. We piled them up over the past 18 months and included them in this new version. Some of them are made thanks to users of the Capital Waters documents, who did some great close reading and pointed at inconsistencies or typo’s. Thank you very much and keep them coming. The document will never be finished and will further evolve over time. Hopefully this new version will find its way to many investors, founders and advisors involved in early stage equity deals, just like the 3.0 version did.